“I would absolutely never do that,” she told host Stephen Quinn. Sources have told CBC News that Wilson-Raybould made at least five demands in order to resolve the bitter SNC-Lavalin dispute, including that three top government officials be fired. Sources also said she wanted a formal apology from Prime Minister Justin Trudeau, and his assurance that his new attorney general would not overturn her decision not to offer SNC-Lavalin a deferred prosecution agreement (DPA). “There were a number of discussions. 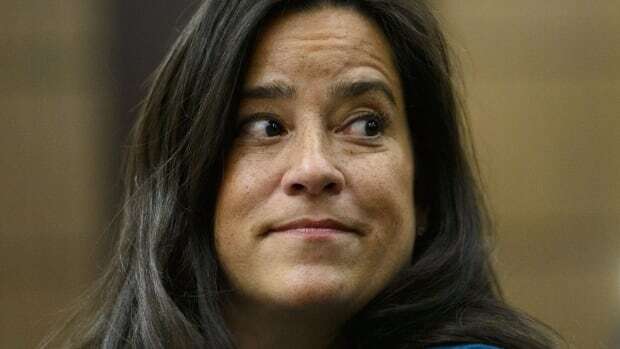 What I will say about those conditions that were reported, one of them was around whether or not the current attorney general would issue a DPA and I have to say unequivocally that I would never interfere with the independence of the attorney general,” Wilson-Raybould said. Wilson-Raybould has testified that she faced inappropriate, intense political pressure and veiled threats to persuade her to overrule the decision by Kathleen Roussel, director of the Public Prosecution Service of Canada, and offer the Montreal-based engineering and construction firm a DPA. After Wilson-Raybould issued that statement, CBC news re-contacted the sources for this story. One said Wilson-Raybould raised the demand that the DPP’s decision on SNC-Lavalin be respected directly with Trudeau during their conversations in Vancouver before she resigned from cabinet. But, the source said, that condition was not part of the conversations in the recent days leading up to Tuesday’s expulsion from caucus, as the demands Wilson-Raybould wanted met evolved and changed throughout the weeks of discussions. Liberal MP Adam Vaughan said he was “confused” by that condition because it flies in the face of her claim that the attorney general should always be independent of political direction. Trudeau expelled Wilson-Raybould and Jane Philpott from the Liberal caucus this week, explaining that trust had been irreparably broken with the former cabinet ministers. Philpott told CBC Radio’s The Current on Thursday the controversy that has dogged the government for months could have been contained much earlier with an apology from the prime minister for alleged political interference in a criminal trial — and a promise that it wouldn’t happen again. Wilson-Raybould echoed that today, saying an apology to Canadians would have gone a long way. “I had hoped all along that the prime minister would have accepted some responsibility for wrongdoing in the case and essentially apologize to Canadians,” she told The Early Edition. In the interview, Wilson-Raybould said she had no regrets about anything she had done, including the secret taping of a Dec. 19 conversation she had with Clerk of the Privy Council Michael Wernick. She also acknowledged that her actions have caused damage to the Liberal Party and how that could have helped lead to a Conservative government being elected in the fall, which may not be good for advancing Indigenous rights. “I think that is a worry. I think that we need to have an approach to resolving and recognizing Indigenous rights that can’t be confined to one political party, can’t be confined to the government party, the Conservative Party, the NDP and other parties,” she said. Wilson-Raybould said she still shares the Liberal values of equality and inclusion in policy-making. She’s now reflecting on her political future and will speak with family, volunteers and constituents and said she remains “incredibly open” to a continued role in federal politics. “I think I still have an important voice,” she said.